Claire Dearing was the Park Operations Manager of the Jurassic World Theme Park on Isla Nublar. She was in charge of managing the day to day operations of the park, and reported directly to Simon Masrani. Claire employed Zara Young as her personal assistant to help with secretarial tasks. She was the sister of Karen Mitchell and aunt to Zach and Gray Mitchell, as well as the sister in law of Scott Mitchell. Claire Dearing maintained a fragile relationship with her sister, Karen. Their interactions often ended in arguments. She had not seen her nephews for at least seven years prior to their arrival on Isla Nublar. Claire went on a date with Owen Grady at an unspecified point in time, but the date did not go well. Claire Dearing met with three representatives from Verizon Wireless to persuade them to sponsor an attraction at Jurassic World. Dr. Henry Wu interjected to explain the Indominus Rex’s origins to Hal Osterly, Jim Drucker, and Erica Brand, and encouraged them to sponsor the attraction. Afterwards, Claire traveled to the control room, where she was greeted by Lowery Cruthers and Vivian Krill, who provided an update on the park’s operation for that day. Claire confronted Lowery over his attire, deeming his shirt insensitive, and criticized his sloppy workspace. Claire awaited an arriving helicopter at the helipad, and was surprised to find Simon Masrani piloting it. Although visibly unsure of his flying skills, Claire updated him on the status of the park and its attractions. They arrived at the Indominus Rex paddock, where Claire discussed the animal and the future of the attraction. Claire was then tasked by Masrani to assign Owen Grady to inspect the paddock for potential liabilities. Claire had instructed Zara Young to meet her nephews at the Ferry Landing. Claire met up with them personally inside of the Visitors’ Center, remarking on how she didn’t remember the last time she saw them. She made plans to meet with them later before being reminded by Zara of a prior appointment. She then rescheduled a tour around the facility to the following day, and left. As Claire Dearing drove to Owen Grady’s Bungalow, she received a phone call from her sister, Karen. Upon being questioned on how the trip was going, Claire lied and claimed she and the boys were having a great time. Karen confronted her about leaving the boys with Zara, and Claire tried to make excuses, using her busy schedule as justification. However, Karen broke down crying, accusing Claire of ruining her chance to reconnect with the nephews and help take their mind off of the upcoming divorce. Claire ultimately agreed to take her nephews on a tour of the facilities the very next day. Claire arrived at Owen’s Bungalow, where she asked him if he would inspect the paddock. Owen instead used this opportunity to attempt to flirt with her, bringing up their previous date. Claire refused to let Owen side track the conversation, attempting to get him to focus on the Indominus Rex. Owen then accused her of only viewing the dinosaurs as corporate property. However, he agreed to accompany her to the paddock. Once at the paddock, Claire and Owen continued to discuss the Indominus, with Claire explaining that the new attraction was necessary for the park to continue to attract visitors. As Claire and Owen reached the viewing area of the paddock, they quickly discovered that the Indominus appeared to have escaped. Claire quickly drove back towards the control room, calling Lowery to discern the location of the animal and to warn the ACU about a possible escaped animal. However, she was informed that the Indominus was still in the paddock. 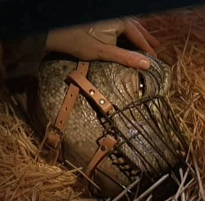 After the Indominus Rex breakout, Claire conferred with Masrani as she observed the ACU attempt to sedate the animal, from the safety of the control room. Owen Grady confronted her, arguing that this measure was not enough, and that the animal would not be contained. Shortly after they witnessed the death of the ACU team on the screen, Owen demanded that Claire shut down the park. Claire initially refused, but after his exit, she ordered an evacuation of the park and a closure of certain rides. Shortly afterwards, Claire received a phone call from Zara informing her that her nephews had gone missing. She called Zach and determined that he and Gray were on the Gyrosphere ride. She immediately ordered a recall of the ride, only to discover that the particular ride module her nephews were in was veering off course. Panicked, Claire enlisted the help of Owen Grady in order to return her nephews to Main Street. Claire and Owen drove to the Gyrosphere Valley, where they stopped, upon discovering a dying Apatosaurus. They paused to comfort it in its last moments. Claire was emotionally shaken by the experience. As they walked back to the car, they discovered the corpses of five more Apatosaurs, and realized that the Indominus Rex was killing for sport. They shortly discovered the smashed Gyrosphere, and Claire was panicked when she found Zach’s broken phone. They followed the boys’ footprints to the waterfall, where Claire immediately began shouting in an attempt to alert the boys. Owen argued with her, hoping to persuade her to allow him to continue the search alone. However, Claire declared that she would accompany him, despite his objections. The pair continued their search of the jungle until they reached the abandoned Visitor’s Center. However, the Indominus Rex ambushed them, destroying the garage as it pursued them. The dinosaur chased them through the the Visitors’ Center, allowing them to escape through the main doors of the building. They pursued the Indominus Rex to the Aviary. Upon reaching the Aviary, Claire and Owen were helpless as Masrani’s helicopter crashed, instantly killing him in the process. They were forced to duck down as the Pteranodons escaped. The pair quickly ran to a a service road, riding back to Main Street on an ATV. Upon arriving on Main Street, Claire and Owen were thrust into the middle of the chaos following the Pteranodon attack. Claire attempted to locate the boys while Owen and the surviving ACU members shot at the loose pteranodons. As Claire finally spotted her nephews, Owen was attacked and nearly killed by a Dimorphodon. Claire quickly grabbed a tranquilizer gun and shot the animal multiple times. After being rescued, Owen kissed Claire. Still in shock from the aftermath of the attack, Claire quickly ran to the boys, asking about their safety. The group attempted to seek safety in a nearby service road, however, they were forced to seek refuge in a car when the panicked crowd broke through the gates, running from the attack. Escaping the crowd, they traveled to the velociraptor paddock after discovering that Vic Hoskins planned to utilize the raptors to track down the Indominus Rex. Upon reaching the Velociraptor paddock, Claire Dearing instructed her nephews to stay in an ambulance for safety reasons during the release of the Velociraptors. She watched via the gopro camera feed as Owen Grady led the hunt. However, she was unprepared for the velociraptor attack as an ACU member attempted to hide in the ambulance before being killed. Panicked, Claire drove off towards Main Street with the Velociraptors in pursuit. Claire quickly sped down the road, attempting to evade attacks by the Velociraptors. She was forced to swerve to the side of the road after Blue charged the car, breaking through the side window and attempting to bite her. She swerved, sending the dinosaur crashing to the street as she continued to drive. She followed Owen to Main Street, where they parked their vehicles. Upon reaching Main Street, the group ran to the Visitor’s Center, attempting to reach the control room. However, they noticed that Henry Wu’s laboratory was open, and promptly went inside to investigate. They were confronted by Vic Hoskins, who began to elaborate on his plans for the Indominus until he was interrupted by Delta. As Delta slaughtered Hoskins, the group made their escape back to Main Street. The group was cornered by the raptors, but Owen swiftly managed to regain control over the pack before the arrival of the Indominus. As the Indominus fought with the Velociraptors, Claire and the children hid in Jurassic Traders. While watching the fight, Claire realized that the velociraptors would not be enough after Gray declared that they needed ‘more teeth’. She quickly grabbed a flare and ran to the Tyrannosaur Paddock. Claire Dearing leading the Rex away with a flare. Reaching the paddock, Claire instructed Lowery to open the door. When the paddock opened, Claire lit the flare as the Tyrannosaurus Rex slowly walked towards the entrance. She then ran for her life, using the flare to lure the Rex onto Main Street, where it confronted the Indominus. Claire yelled at Owen and the kids to run when the battle shifted in the Indominus’ favor, which prompted them to escape the store just before it collapsed. After the defeat of the Indominus, Claire and the group watched the Rex walk away with Blue. After the evacuation of the park, Claire waited with the children in a makeshift emergency shelter on the mainland. She stayed with them until their parents came, sharing a tearful hug with her sister as they were reunited. Claire met Owen as she was about to leave, the two of them promising to stick together for survival, with the implication they were beginning their relationship anew. 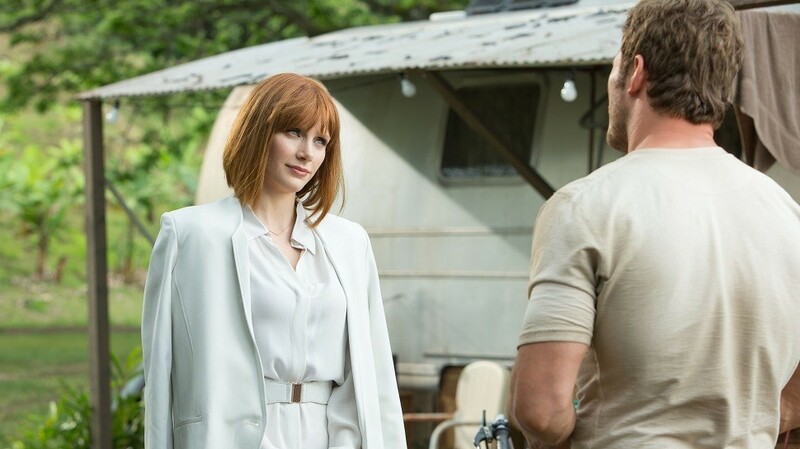 In 2017, two years after the Jurassic World Incident, Claire Dearing founded the Dinosaur Protection Group, an organization designed to protect the last living dinosaurs. 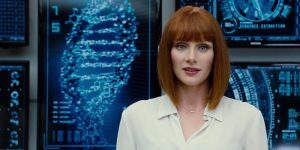 Claire Dearing is played by Bryce Dallas Howard.